Mr. Sampanthan’s point is that he/she who is not with you is against you. Those who did not vote for your party, voted against you and your party– and you should add them all together. That’s if you are Mr. Rajapaksa. So, going by Mr. Sampanthan’s argument against Mahinda Rajapaksa, a majority of Tamil voters in the Jaffna District – no less than 65%–where a majority of Northern Province resides, voted against the TNA! Indeed a greater majority voted against the TNA than did the island’s people against Mahinda Rajapaksa, going by Mr. Sampanthan’s argument. What of the other districts? The same point holds true: the TNA had more votes or a greater percentage of votes cast against it. Something that disturbed me about Mr. Sampanthan’s recent parliamentary speech was that it was unintentionally ironic in the extreme. . Mr. Sampanthan does not occupy the moral high ground vis-a-vis Mahinda Rajapaksa. 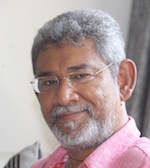 Not only has he no moral right –or empirical evidence– to occupy the post of the Leader of the Opposition he has not had the backbone to criticize the Tigers even though they are no longer a threat to him, for the crimes of murdering his own close colleagues and friends: Amirthalingam, Sivasithamparam, Yogeswaran, Mrs. Yogeswaran, and Neelan Tiruchelvam, to name only a few. Yet it is Mahinda Rajapaksa who he denounces, who ended the killing of his colleagues. Mr. Sampanthan’s folly is that he does not realize that the man he condemns, Mahinda Rajapaksa is the only counterweight to Sinhala ultra-nationalism; the only one who can contain it; the only firewall. 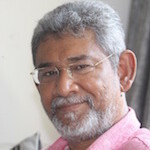 Sampanthan’s friends the UNP and the official SLFP are manifestly on the decline and before they depart the stage late next year, they, together with Mr. Sampanthan and Sumanthiran, would have provoked a powerful Sinhala backlash. As usual, Tamil nationalism here and overseas will comfort itself as it foolishly did in 2005, that a hardline Sinhala administration is but a stepping stone to Tamil Eelam with external intervention, but as was proved then, the old song from the musical Porgy & Bess, may once again prove itself right: “It Ain’t Necessarily So”.